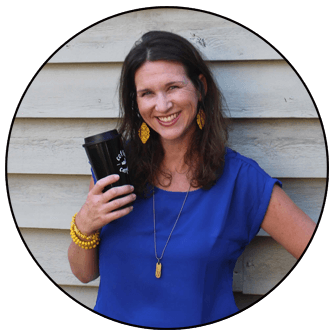 Inside: Gratitude can’t just be taught during Thanksgiving. 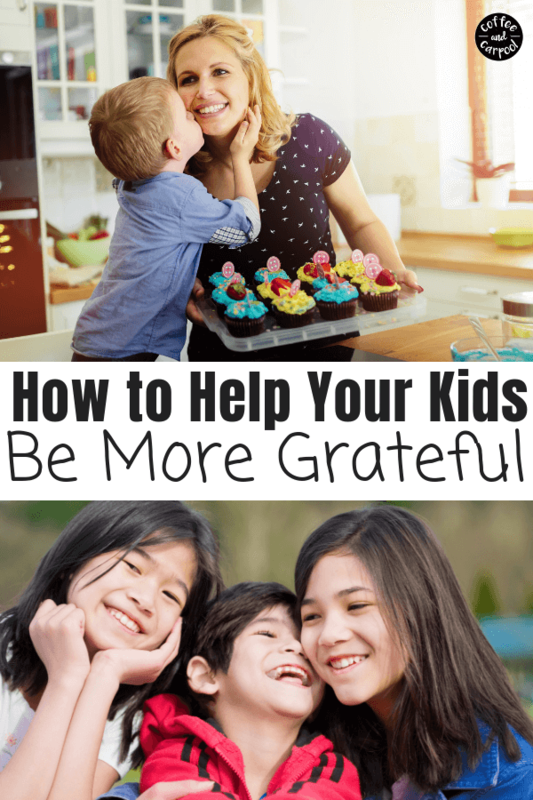 We need to purposefully teach our kids to be grateful and we can use these year-round gratitude activities to do focus on it. I offered my daughter a cookie the other day and she immediately counteroffered. “Can I have two cookies?” she asked. She was being offered a cookie, mid-day, for no reason, just because. Instead of being grateful she was offered a cookie, she immediately wanted more. Instead of being thankful and happy with one, she felt she could increase her happiness only if she got two cookies. So I offered her a choice: She could have one cookie or no cookies. Teaching our kids to be grateful is a year-long endeavor. 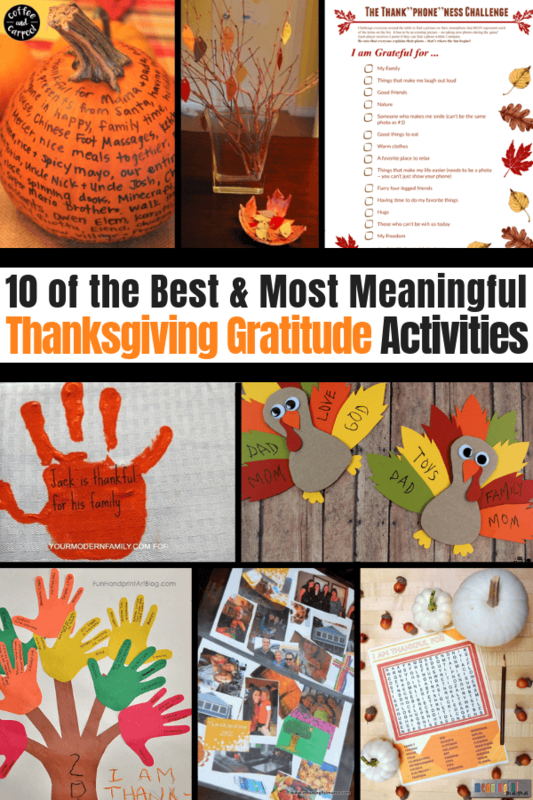 We can’t only teach gratitude to our children at Thanksgiving time with cute turkeys and Gratitude Pumpkins. 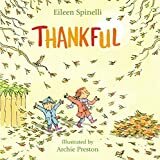 Even though November is the perfect time of the year to focus on gratefulness, one month out of the year to teach our kids to be thankful is not enough. 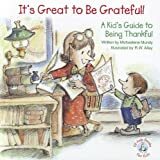 We have to teach our kids how to be grateful year-round. Month after month, day after day, cookie after cookie. 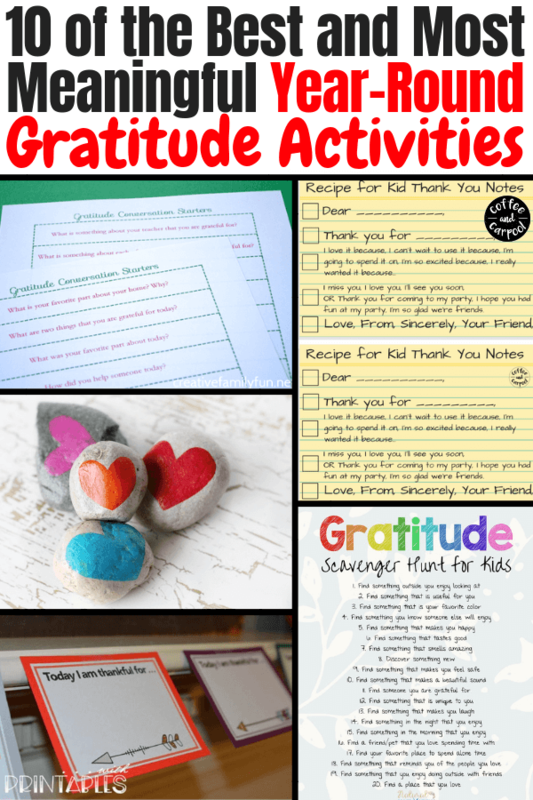 We have to help our kids be more thankful and we can do it with these year-round gratitude activities. Since gratitude needs to be taught often, we need fun and different ideas instead of having to constantly offer up zero cookies or one cookie. 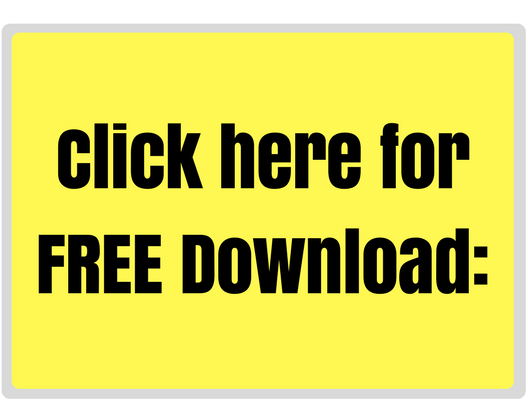 Want a simple way to help our kids be more grateful every day? 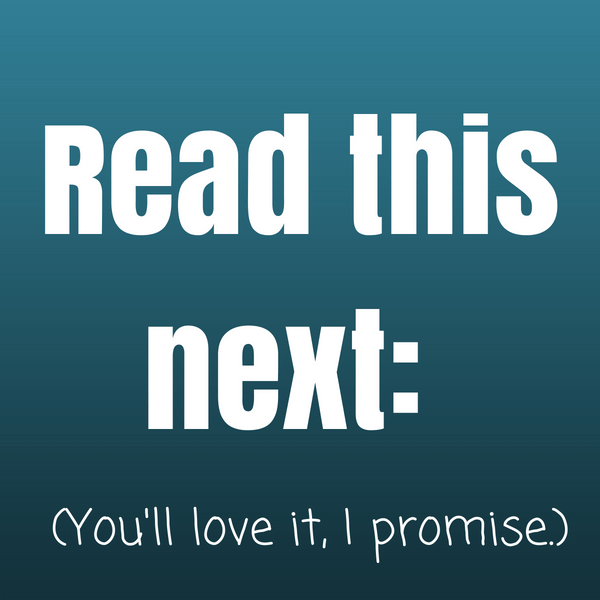 This one simple trick to remind our kids to be grateful for the simple things in their lives will be a game changer. 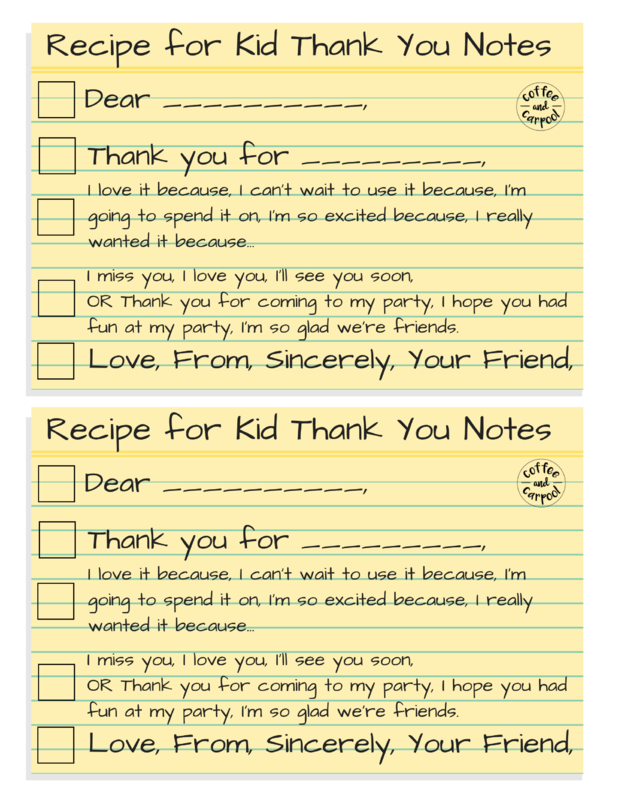 Help your kids write meaningful thank you notes with this printable “recipe” for a great thank you note they can use for birthday gifts and holiday gifts. Create this Gratitude Garland from Mosswood Connections and add what you’re grateful for all year long. No need to keep it up only in November! 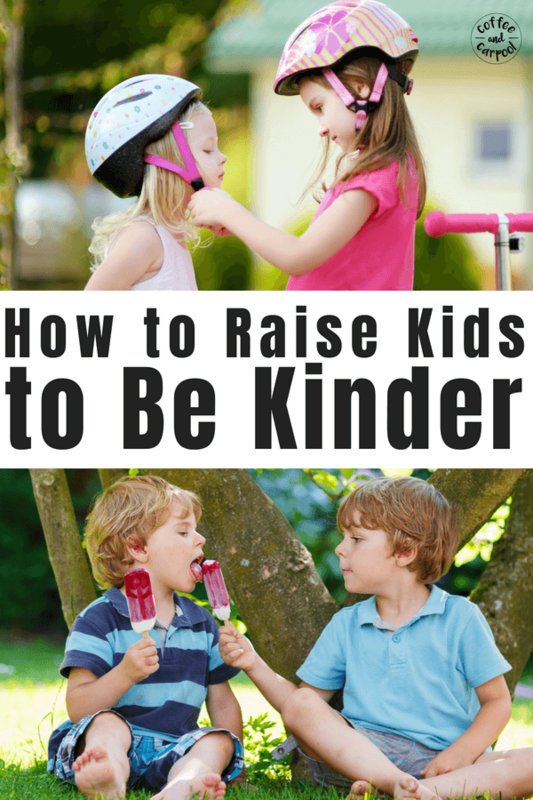 I am a firm believer that raising grateful kids will actually also make them kinder people. 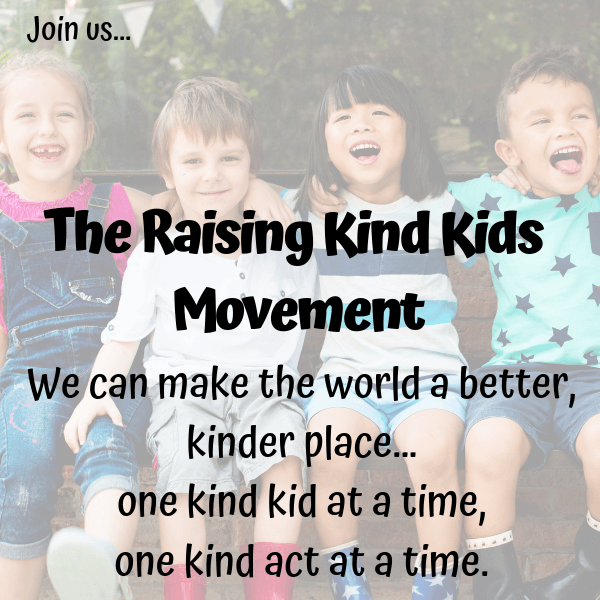 But if you use these five Acts of Kindness from Extremely Good Parenting, the kind acts will lead to more grateful kids. It’s a revolving circle of gratefulness and kindness. 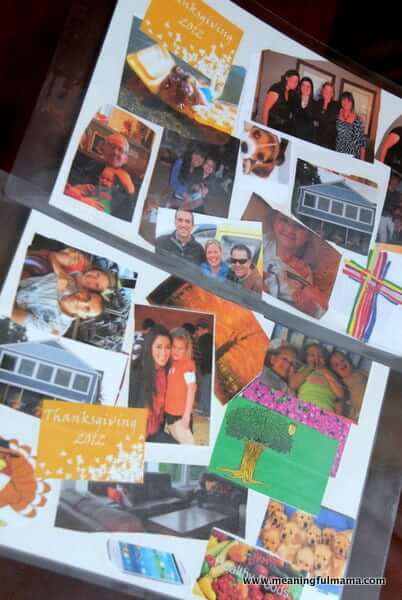 Create these Thankfulness Collage Placements from The Meaningful Mama to help our kids remember what they’re thankful for every time they eat. 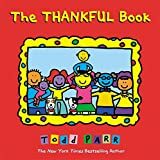 Kids can write in Gratitude Journals like this one or they can write what they’re grateful for on these cute Thankful Cards from With Printables. 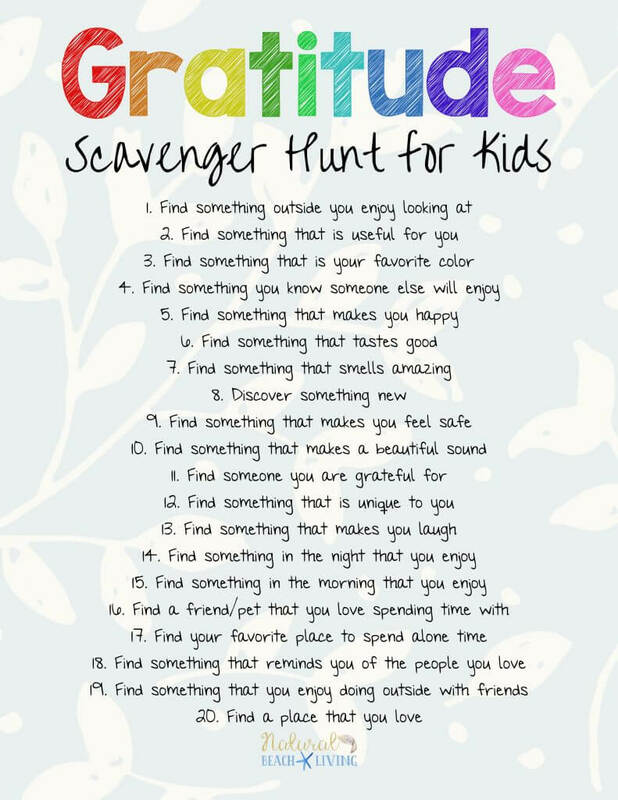 Get your kids moving and active as they search for things they’re grateful for around them with this Gratitude Scavenger Hunt from Natural Beach Living. Discuss being grateful with your kids over family dinner with these Gratitude Conversation Starters from Creative Family Fun. Is talking about being grateful not enough anymore? When you volunteer as a family, your kids will be more grateful. Use these ideas from Mama Smiles for volunteering ideas that are kid-friendly. 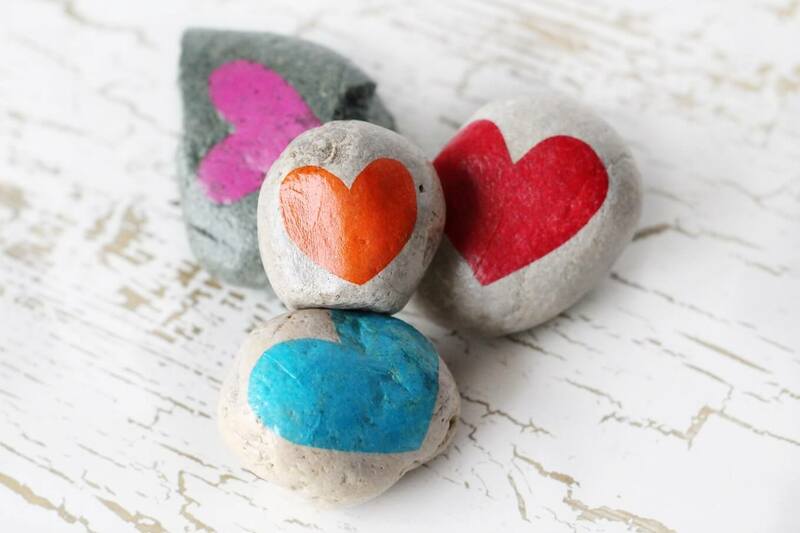 Make these sweet Gratitude Stones from Fireflies and Mudpies and use her 5 ideas to focus on gratitude at the dinner table, at bedtime, and in your community. 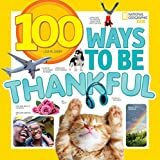 Your kids will love this Gratitude Game from Teach Beside Me they can play year-round to focus on what they’re thankful for. They’ll love it! What year-round gratitude activities are you going to try first?